The Palestinian Health Ministry has reported, on Wednesday evening, that a child died from serious wounds he suffered, eight days earlier, after Israeli soldiers shot him at the northern entrance of al-Biereh city, in central West Bank. 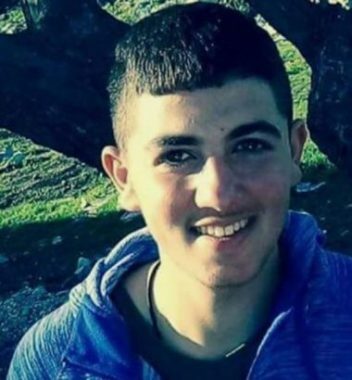 The Ministry said the child, Akram Odai Abu Khalil, 15, was shot with a live round in his abdomen, and was rushed to Palestine Medical Complex, in Ramallah, before he was moved to the Najah Hospital, in the northern West Bank city of Nablus. 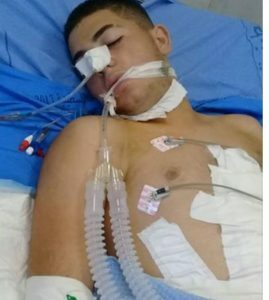 The child, from Ein Sinya village, north of Ramallah, remained in a coma, in a very serious condition, until he succumbed to his wounds. The Ministry stated that his death brings the number of Palestinians, killed by Israeli army fire since the beginning of the Great Return March on Palestinian Land Day, on March 30, 2018, to 118 including 14 children.